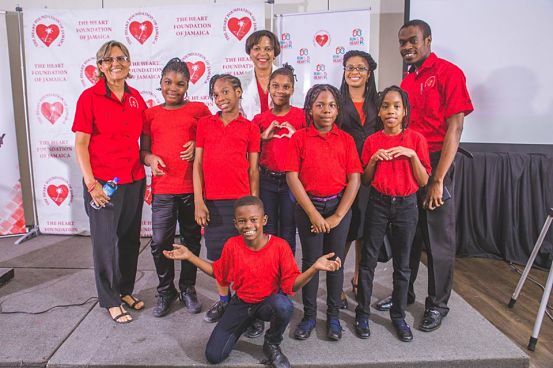 CHILD'S PLAY: Philpotts-Brown sharing a light moment with some of the young attendees at the recent launch of Heart Month in Kingston. 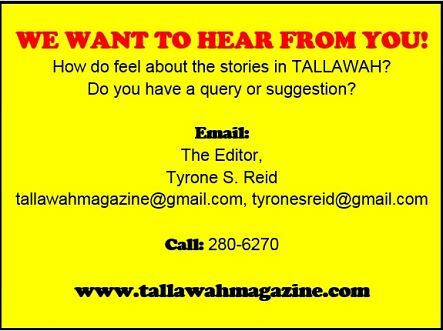 This decision is coming on the heels of the recent ban on sugary drinks at institutions across the island. 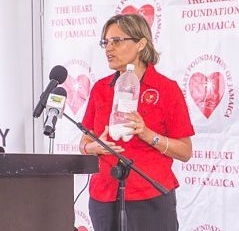 “We have a schools’ education project that we started seven years ago, out of which we started the Healthy Hearts Clubs with 10 schools in two parishes, Kingston and St. Catherine,” says the HFJ’s Nola Philpotts-Brown (Senior Manager for Health Administration), speaking with journalists during a rap session and tour of their Beechwood Avenue facilities last Wednesday.